2 What Is An Earthquake? 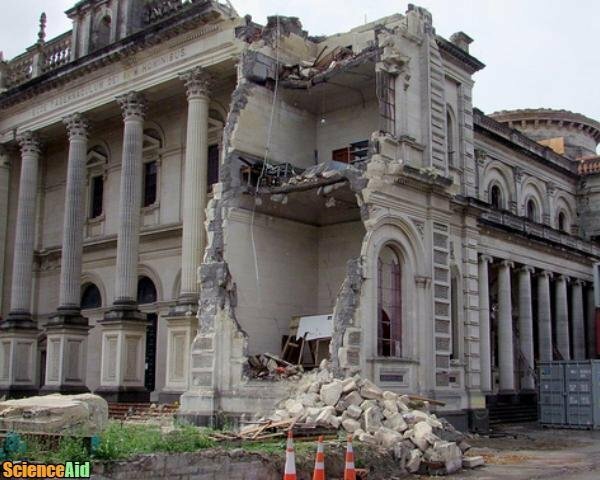 3 Why Do Earthquakes Occur? The inner core is, as its name suggests, the most inner part of the Earth. It is the hottest layer and can reach up to 5,500 degrees Celsius, functioning as the engine of our planet. Next, is the outer core, which is very hot, similar to the inner core. It is composed of liquid iron and nickel. This is the widest section of our planet, spanning about 2,900 km in diameter. The mantle is made up of semi-molten rock, which is referred to as magma. Getting closer to the Earth's crust, this layer starts out as a softer, melted magma; however, its upper section composed of hard rock. This layer is formed of solid rock and averages about 60 km thick! There are two types of crust: oceanic and continental. Also known as part of the Lithosphere (which is the crust and the mantle combined), it is broken up into tectonic plates and literally floats on the inner core. These tectonic plates are constantly moving, sliding underneath and past each other, which ultimately can lead to an earthquake. When an earthquake occurs, depending on the severity of it, the ground, as well as you and your surroundings could shake violently, often causing destruction. This happens when there is movement within the Earth's crust. 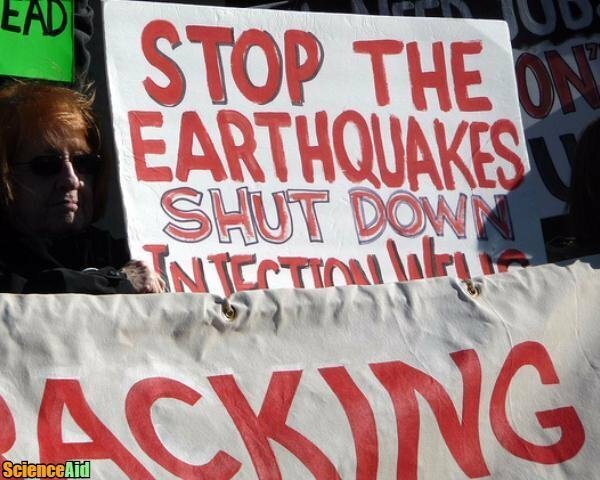 In most cases, earthquakes are naturally occurring; however, they can also be caused or encouraged by oil drilling, shale gas fracking, and/or coal mining. When the Earth's tectonic plates shift, they send out shock waves which can shake the ground from below and/or crack the surface of the Earth. Earthquakes can be very destructive, making sky-high buildings collapse, volcano's erupt, tsunamis to occur etc. They have done extreme damage in many parts of the world. Earthquakes can happen on a whim, although the action of the tectonic plates shifting is gradual and quite slow. Smaller earthquakes are sometimes not even noticed by humans, although they can shake items off of shelves and break windows, while larger-scale earthquakes can cause much more damage, as mentioned above. There are seven to eight major tectonic plates, as well as several minor plates. All of them are located beneath Earth's surface and move and shift regularly, rubbing against each other, although gradual and slow. In fact, the process can take thousands of years. The underlying movement of the tectonic plates beneath us cause, what's called, seismic waves, which we talk about in further detail below. After an earthquake occurs, aftershocks can happen. Aftershocks are similar to mini earthquakes and are caused when the tectonic plates settle into a state of balance. The mantle ultimately ruptures when an earthquake occurs. 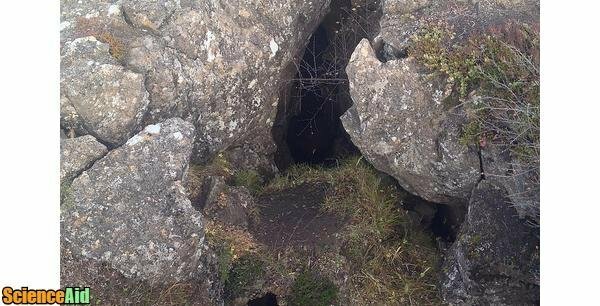 Underground rock breaks and releases energy, which causes seismic waves, shaking the ground. As mentioned above, there are 7 or 8 major tectonic plates, as well as several minor ones. They are constantly in motion, which is driven by the heat transferred from the mantle below. The tectonic plates are where it all begins for natural occurrences such as earthquakes, as well as volcanos, mountain formations, and oceanic trenches. Plates are approximately 80 km deep and only move, on average, a few inches each year. Each of the major tectonic plates has their own unique name: African plate, Antarctic plate, Eurasian plate, Indo-Australian plate, North American plate, Pacific plate and South American plate. Plate boundaries are where each of the tectonic plates meets. Plates can collide, sink or pull apart as stress occurs. There are three main types of plate boundaries: convergent boundaries, divergent boundaries and transform boundaries. Convergent boundaries are when two plates meet and one or both are composed of oceanic crust. Needless to say, this occurs underwater. The plate which is denser is pushed underneath the less dense tectonic plate, which eventually melts and is destroyed completely. Divergent boundaries are when two tectonic plates are moving away from one another. This process can occur underwater or on land. Transform boundaries are when two tectonic plates slide horizontally past one another. Like divergent boundaries, transform boundaries can occur underwater or on land. When the two plates slide past each other, friction is caused, building up stress in both plates, which then causes an earthquake. This is also known as a fault, or a fault plane. Scientists who study earthquakes and seismic waves are called seismologists. Seismic waves are waves of energy which are caused rock within the Earth breaks suddenly, and/or an explosion occurs. 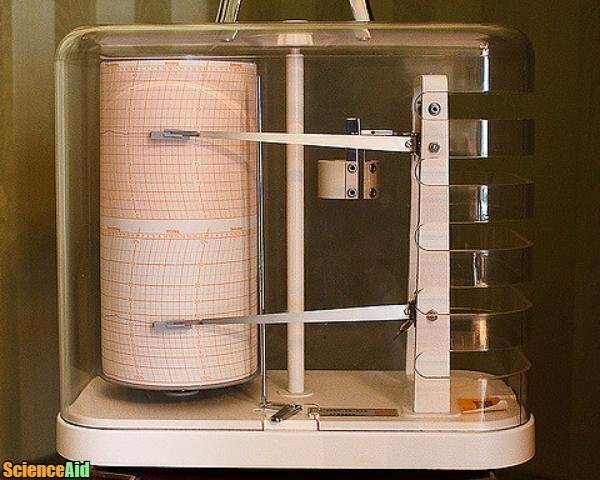 Seismologists measure earthquakes by recording both the intensity and duration of earthquakes. Seismograms show information from P or primary waves, as well as secondary seismic waves. This information is then used to rate the earthquakes on the Richter Scale. Primary waves, also known as compressional waves, occur due to the pushing and pulling by the tectonic plates. The waves are longitudinal, meaning the vibrations flow in the same direction as they are traveling. They are the fastest of any seismic wave and are always first to reach the seismic station. They are often compared to sound waves and can travel through rock and liquid. These transverse waves vibrate at right angles, toward the direction of travel. They are often compared to light and water waves. If an earthquake is recorded at less than a 4.0 magnitude, it's likely it wasn't even noticed. A 4.0-4.9 earthquake could be felt, but not much damage would occur. The higher you get on the Richter scale, the more destruction caused. The largest recorded earthquake was a 9.5 on the Richter scale, which was the Great Chilean Earthquake of 1960. This specific earthquake was so severe, it caused a number of tsunamis and even caused damage as far as Hawaii, Japan, and the Philippines. Is it possible? We, as humans, cannot predict earthquakes unless we feel the ground beneath us shake. If it were, it would be much easier to prepare ourselves for these often disastrous natural occurrences. 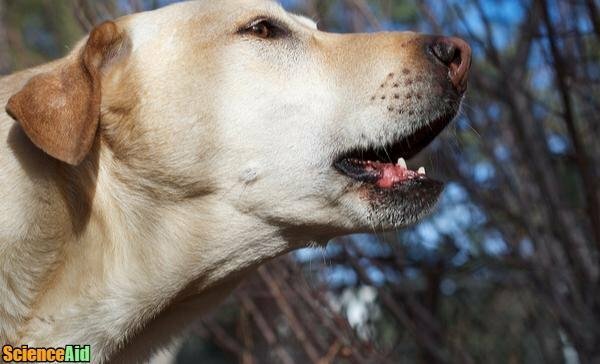 Dogs, on the other hand, as well as some other animals, can sometimes sense a P wave and will start to bark hysterically. Does it exist? Many theories have led us to believe that earthquake weather (calm, cloudy conditions, strong winds and meteor sightings) does exist, but in reality, it doesn't. There is no such thing as earthquake-specific weather. Not proven, at least. Statistically speaking, there is an equal amount of earthquakes that have happened in cool, hot and rainy conditions. Approximately 500,000 earthquakes occur each year. This number could be even greater, as this is simply the number that has been detected and recorded. Minor earthquakes aren't always felt or even noticed. MLA (Modern Language Association) "Earthquake Plates." 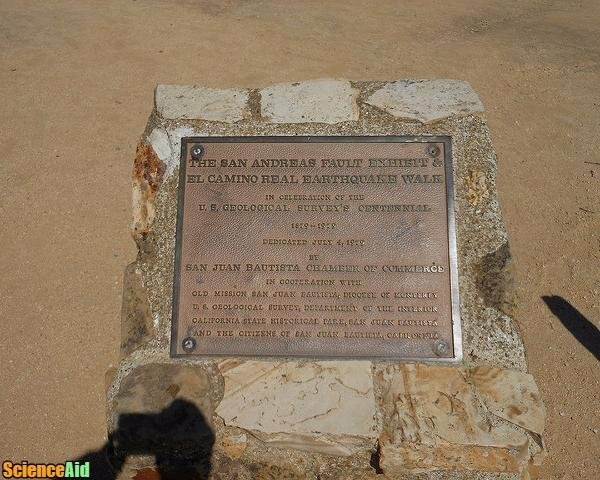 ScienceAid, scienceaid.net/Earthquake_Plates Accessed 25 Apr 2019. Chicago / Turabian ScienceAid.net. "Earthquake Plates." 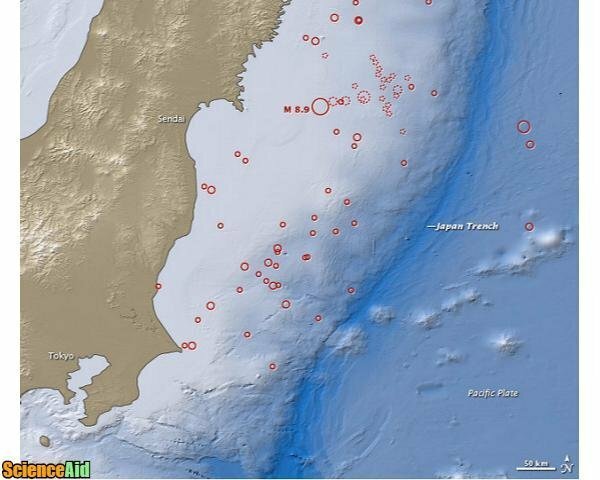 Accessed Apr 25, 2019. https://scienceaid.net/Earthquake_Plates.